Gary Siebein is an internationally recognized expert and researcher in the area of architectural and environmental acoustics. In the past five years, his soundscape design methods for urban environments, “deep” natural settings, and complex buildings have lead to modifications of planning policy and international standards in architectural acoustics. This work has produced a series of significant publications, led to his election to fellowship in the American Institute of Architects, and been translated into architectural practice in innovative design projects throughout the U.S.
Siebein was elected as a Fellow of the American Institute of Architects (AIA) in 2009 as a testimony to his long-term contributions to integrated research, teaching, and practice in architectural acoustics. He is one of a select few individuals who are Fellows of both the AIA and the Acoustical Society of America (ASA). 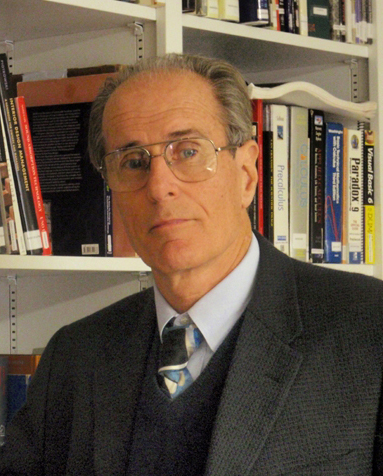 The publication in late 2009 of his book chapter “Recent Research and Design Applications” in a major book entitled Architectural Acoustics: Theory and Practice, edited by Cavanaugh and Tocci (John Wiley and Sons), is an important contribution to the currency of literature in the field. Siebein has also regularly participated in internationally significant professional service by incorporating the results of the research in the emerging international standards for acoustics (International Standards Organization [ISO] and American Society for Testing and Materials [ASTM]), where it will eventually become part of everyday practice in planning, land-use, and building codes on a national and international scale. Five of Siebein’s recent concert halls (working as the acoustical consultant) were selected by the Acoustical Society of America (ASA) for inclusion in Halls for Music Performance and five of his recently completed theaters (working as the acoustical consultant) were selected by the ASA for inclusion in Acoustical Design of Theaters for Drama Performance to be published later this year (2010). The publication of these halls signifies Siebein’s ability to translate the results of his research into the design of rooms that are viewed by his peers as significant contributions toward advancing the field of architectural acoustics. Siebein maintains a robust research, teaching, and service agenda and is actively engaged in the implementation of the latest research findings through his consulting. He represents a stellar example of how research and practice can be integrated and how this connection can expand the classroom into those activities as well.